Inter-Global is a supplier to the OEM lighting and electrical industries. We are specialists in the design and production of plastic lanterns and components, completed lighting fixtures, metal parts, sockets, electrical components and ballasts. 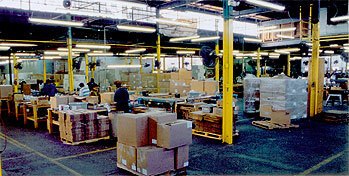 Inter-Global has over forty years of experience developing new products. Our designers and engineers can help turn your idea into a product that can be sold to your customers. Crown Plastics, an Inter-Global Company, is a quality manufacturer of plastic lighting enclosures. In addition to providing all of the industry standards including Spheres, Cubes, Streetlamps, Cylinders and Dome Lenses, Crown also produces made-to-order Custom Shapes. Click here to learn more.